Quote Reply Topic: Late model T5 problems still exist? I'm currently a T4 driver but the ole gal has now done 250K kms and I'm looking into buying a brand spanking T5 here in Portugal. I am just wondering if any of the major reliability issues have already been dealt with ? ( DMF, water pump and whatever else). I'm also looking at the Trafic but I've owned french filth vans before and always heated the build quality. Any advice greatly appreciated. hang on for the facelift which i believe is available here early nxt year. I am just wondering if any of the major reliability issues have already been dealt with ? Let's put it this way. What "major reliability problems" would these be? Take the real world for example. Every high mileage T5 taxi driver I've ever talked to has had trouble free motoring. They've sold, how many? Over a million? More? I wonder what tiny proportion of these have really had "major reliability problems"? Not many, I would guess, as the grapevine and the resulting damage to the brand would surely be devastating. Now take the world of the brick-yard. It's an accepted fact that places like this (excellent) public forum are naturally frequented by a higher than average proportion of people who have had problems with their vehicle and are seeking some advice or just want a public place to vent their frustrations. How many T5 owners are on here? Well, over 260 have completed the poll, so let's say there are 260. And how many of t hose 260 have had what you would call "major reliability problems"? Very few, but (as with any car/van/hifi/camera/fishing reel etc etc) a small number of very unlucky people (like T5TDI) who have had a catalogue of serious problems and are understandably vocal about them. I'd wager that the vast majority of the 260 on here have had a few niggles (like the clonk and window leaks, including me) but not major problems. And if that is the case, how many of the one million (or whatever the number is) T5s out there are having major reliability problems? This is just my opinion but it all adds up to me. Like a lot of things on the internet the poor reliability of the 2.5lt T5 is very likely to be an urban myth and extremely unlikely to be fact. Common sense tells you that the later runs of the current model which include updated versions of allegedly weak parts (eg window seals) will be the better buys. The new model is likely to have niggles just like the 2003/4 models. So I'd say, as an average owner, the T5 is a superb, reliable van and a wonderful vehicle. Get a VW approved one with known history and don't worry. Im the one with the silly smile when Driving! 2004 174bhp AXE engine..... Belligerence has been confirmed. I agree with all of the above. 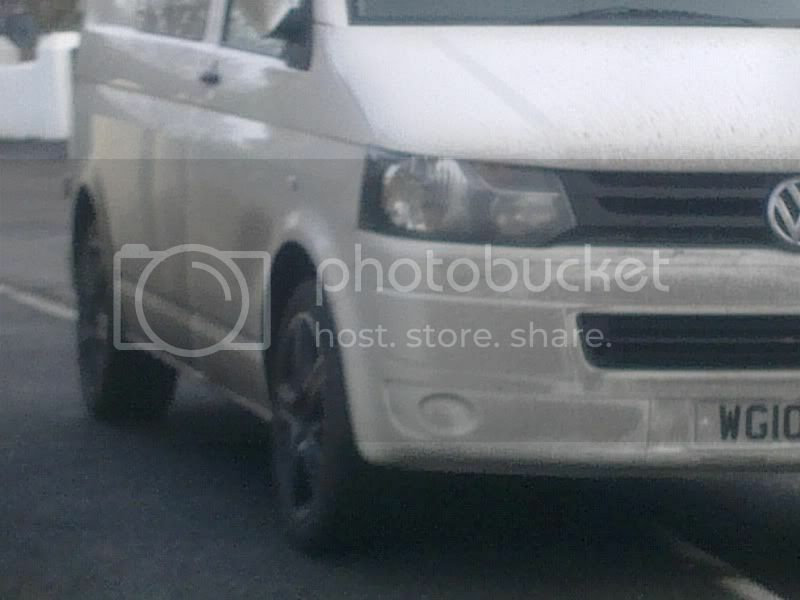 If reliability is an important factor I would be buying a late build T5, not an early build Face Lift van (T5.5 ?). Excellent advice from you all. Thank you. I understand where you're coming from ECB but I've owned a T4 1.9TD from 50kmiles to 155kmiles and until I hit 140k NOTHING went wrong, not one thing. I changed oil (always synthetic) and glow plugs, pads etc but no driveshafts, flywheels, water pumps, etc. Even on the french filth Extra (yuk) I drove before I only needed driveshafts (200 quid) and a steering box (150 ish) until it warped it's head at 140k. I'm feeling a bit torn between new and old now. Which leads me back to the question, is the DMF any better than it was, have the waterpump issues been resolved. I'm only looking to buy a 105HP 1.9 so maybe these aren't so much of an issue. I think I've read back to page 46 of this forum tonight and I am seriously impressed with you all putting so much into this. Wish I could fix my T4 now though. There is an (as yet) unsolved observation about the dmf. Apparently two different units are available from two different manufacturers, purely anecdotal evidence along with experienced engineering opinion suggests that one unit may be better build quality than the other. We could really do with some facts about this issue, because if one really is better than the other then no prizes for guessing which one we will insist on if a replacement becomes necessary. Not just the vans either, the data should extend to all vehicles. I personally would also like to read a report on the consequences of converting to a single mass flywheel. What did the T4 have ? 1.9 85ps swb 2004 in friesan green. I understand where you're coming from ECB but I've owned a T4 1.9TD from 50kmiles to 155kmiles and until I hit 140k NOTHING went wrong, not one thing. I have to concede, despite what I said, that anecdotally the T4 does seem to be a more reliable vehicle than the T5, but what the earlier models were like I don't know - were our predecessors having similar chats about the T4 back then? I did the clutch on my 1.9TD T4 this year and it had a solid flywheel. I have read that the 2.5 had a DMF but I dont think it was a problem issue. I've got one of the first T5's from the beginning of 2004 and not had any problems with it at all. Touch wood. There was also never any recalls done on the one I have, so I wonder if things got worse as they went on. Also I don't have DMF on mine as they came in later. I agree with Transporter, the reliability problems of modern vans (and cars), usually stem from modifications to previously reliable parts. For example the dmf; for the sake of a smoother running vehicle, we have exchanged a solid disc, for two discs with springs connecting them that will naturally wear out eventually (in some cases, quite quickly). I, for one, think that commercial vehicles, which can be subject to quite robust usage, should have stuck with the standard flywheel and leave the dmfs for passenger cars. Another 'improvement' is the modern fuel delivery system. The T5 has, in effect, three fuel pumps: one in the fuel tank (which needs the tank removing to access), the tandem pump on the end of the camshaft, and the unit injector. As good as the T5 PD system is for pressure delivery, I feel that the old fuel system fitted to LT and T4 using one combined injector/lift pump has a statistically less chance of failure than the three on the T5. Of course, VW cannot take all the blame for the complification of the vans, as the main cause of the change of fuel system is the ever more stringent Euro emissions standards, which are also responsible for the engine choking dpf. 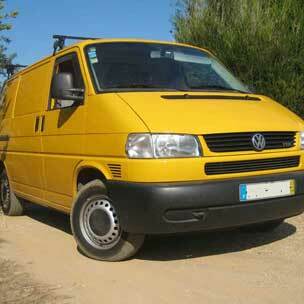 As Transporter says, the days of diesel vans covering vast mileages with no trouble (with a few exceptions) are gone. In this repect, I don't think VW are any worse than any other marque as regards reliability, but, unfortunately, they are no better either. Volkswagens have still got that quality feel about them but the trust in the brand has gone. To answer the OP, I think the T5.0 has got it's niggles pretty much sorted, and a late example should be reliable. However, if you can afford it, I think I would take my chances with the new model: I know there'll be the teething troubles, but, as the T5.1 shares quite a few components with the 5.0, I think that the common faults should have been rectified. In effect, we've all been a testbed for the new model, or 'returns quality control' as it's called. We`re trading in the wifes BMW 1 series because of the DMF clutch judder problems. check out this link. my point is, as noted above, it isnt just T5's that suffer with this issue. The latest BMW fix is via a remap to reduce power!!!!! it sounds like you keep your vans for quite a while solarboy. if thats the case there really is no choice. i haven't met a traffic/vivaro owner yet who didn't wish they had spent a bit more and got a T5. plus i'd rather have to replace the DMF than have the van trashed by an electrical fire. Smidsy you're right there, and you also answered another question which was what makes the T5 better than the Trafic etc. I do have a third alternative which is import/source an almost new engine+gbox and drop it in my T4 to see if I can make 400k but it is starting to look a bit scrappy. It is looking more like a T5 though and MacGyvers points about the new version do seem to have some validity, I'd assume they've altered the line to fix some of the issues already so it boils down to how many litres of diesel I will save over 150k and if that balances out any(if any) extra repair costs. I went through the same dilema with my LT, solarboy. Bottom line is money: A new Transporter, rock bottom spec, in the UK is around 14k + VAT. A reconditioned engine and gearbox for your T4, say 2k at most. Ok, so other parts could be getting ready, but apart from the steering gear, nothing is too expensive. I'm not sure about economy on the T4s. You can expect to average late 30s in a 1.9 T5, how's that compare to what you're getting now? In the end, it's down to your preference. I bought a T5 and am completely thrilled with it, but, when I see my old LT running around, there's a part of me that would gladly take it back, even the rusty parts.